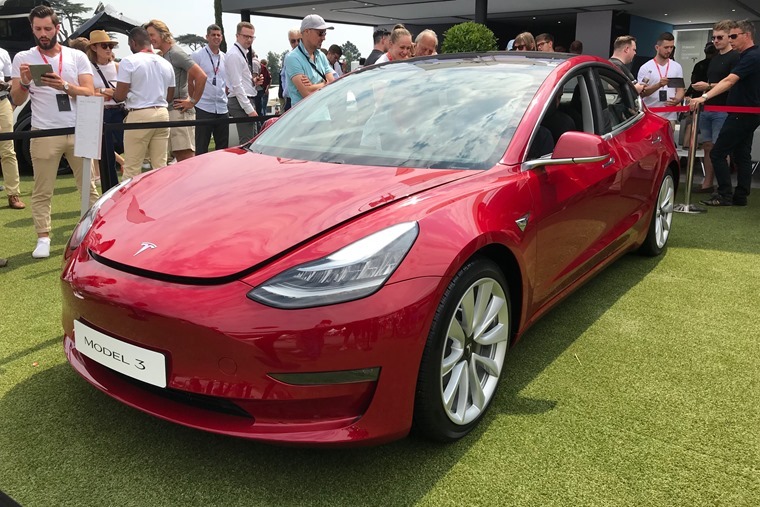 New data from Jato has revealed the Tesla Model 3 made significant inroads into the European car market in February, immediately becoming the most popular EV in its first full month of sales. Despite not being available in the UK yet, the Model 3 outpaced registrations of other big players in the EV market across much of Europe. The Nissan Leaf and Renault Zoe, despite being more affordable, were less popular than the new American EV. It also significantly outstripped demand for the upmarket I-Pace, with 891 of the all-electric Jaguars being registered. But even more remarkably, the Tesla Model 3 achieved another record in February, as it became the top-selling premium midsize sedan in Europe – outperforming the popular Mercedes-Benz C-Class, Audi A4 and BMW 3 Series. Felipe Munoz, JATO’s global analyst, commented, “The performance of the Model 3 is remarkable, given we normally don’t see this kind of result until four or five months after a new car has hit the roads. With right-hand drive model deliveries set to begin in mid 2019, it’ll still be a while before we get Model 3s on the UK’s road. However, if you fancy a Tesla right now, you can find lease deals on the Model S and Model X by clicking here. What about the wider market? 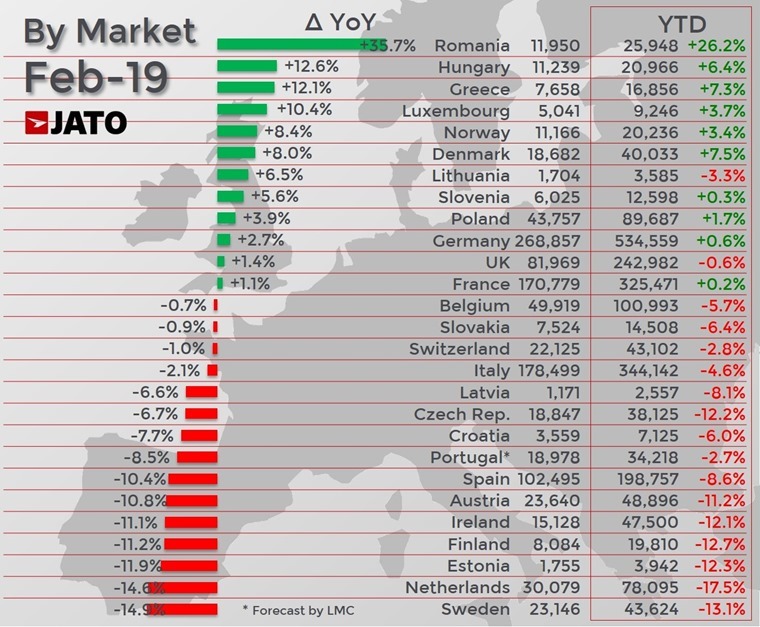 1.14 million vehicles were registered in February, marking the sixth consecutive month of decline for the European market. The biggest fall was recorded in Sweden, while a scrappage scheme in Romania saw registrations grow by an impressive 35.7%. Away from Tesla’s success, the number of all-electric vehicles continued to grow, with year-on-year growth standing at 92%. That said, pure EVs still account for just 1.9% of the European market overall. They’re most popular in Norway and the Netherlands, while demand increased by a huge 81% in Germany, too – making the latter the largest market for EVs in February. Small superminis continue to dominate the top positions, with the Renault Clio, VW Polo, Citroen C3 and Peugeot 208 taking second, third, forth and fifth position respectively. 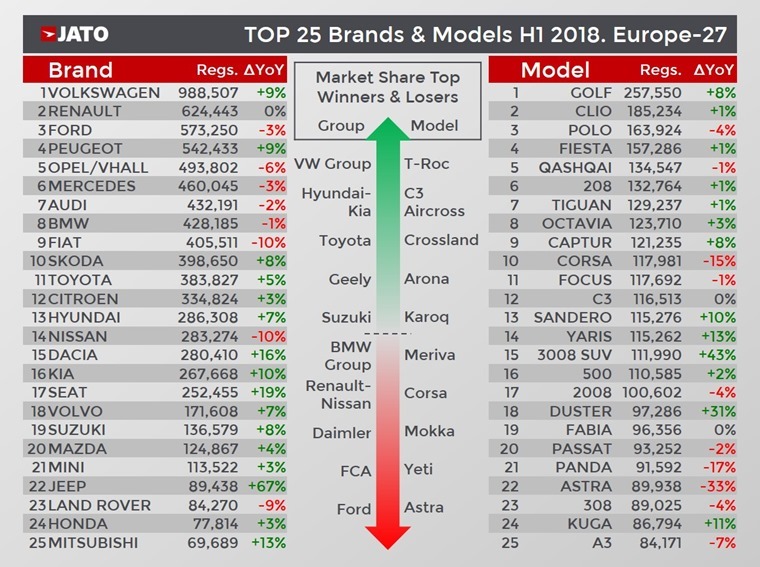 VW Group continues to lead the way, with the Golf being Europe’s most popular car (it also happened to be Leasing.com’s most enquired model last year, too). PSA Group saw vehicle registrations increase too, largely thanks to the Citroen C5 Aircross. The UK’s most popular cars – the Focus and Fiesta – were placed in sixth and eighth position overall. Meanwhile, the VW T-Roc climbed the rankings to become Europe’s favoured SUV, outpacing demand for both the the Tiguan and Nissan Qashqai. It was the best performing SUV in Austria, Luxembourg and the Netherlands, and the second best in Germany, Croatia, Denmark and Italy.